We are concerned about the adverse incentives which some of the envisaged institutional reforms would give to policy makers and banks in the euro area. Risk sharing helps to diversify risk but it also weakens the incentives to take precautions and adopt sound policies. The crises which some euro area countries have experienced in the last few years were mainly of their own making. It is a central tenet of insurance economics that such self-inflicted damage should not be shared. Those who take the decisions should also be responsible for the consequences. European solidarity does not justify short-sighted centralized bail-outs. In the attachment to this letter we try to show how the various components of the Roadmap would affect incentives and derive a number of recommendations. The Commission proposes a facility “to be used to maintain investment levels in the event of large asymmetric shocks“. As noted in the Roadmap the stabilization function could in the future be conferred on a European Monetary Fund (EMF) which would succeed the European Stability Mechanism (ESM). We note that, according to Art 136 Sect 3 TFEU, ESM and EMF may be activated if and only if this is “indispensable to safeguard the stability of the euro area as a whole“. Asymmetric shocks hitting particular member countries are the very opposite of euro-area-wide disturbances. Moreover, to be a shock in the economic sense the shortfall of investment would have to be unforeseeable and beyond the control of government. In fact, however, each government is free and able to maintain the level of investment. If a government wishes to finance public investment by borrowing rather than taxation, it has to stay away from the deficit ceiling in normal times. The stabilization function would weaken the incentive to do so. To the extent to which there are private investments which deserve to be subsidized by the European Union, they can be taken care of by the European Investment Bank and the European Fund for Strategic Investment which you, Mr. Juncker, have initiated. Finally, we recommend that the EU should take vigorous action to complete the capital market union so as to facilitate the compensation of asymmetric shocks by international capital movements. While the ESM is based on a separate agreement among the participating states, the European Monetary Fund, according to the Roadmap, would be an EU institution. Thus, the participating states would no longer be free to leave this institution without leaving the European Union itself. The EMF would be subject to “endorsement“ by the Council, it would be “accountable to the European Parliament“ and it would obliged to “cooperate“ with the Commission. We doubt the incentive compatibility of the proposed arrangement. As participation in the EMF is limited to a subgroup of EU Member States, it should also be accountable to the institutions of this subgroup rather than those of the whole Union. Not the Union but the subgroup has the appropriate incentives. According to the Roadmap, the euro group of finance ministers ought to be chaired by a Commissioner who would assume the title of European Minister of Finance. Once more, a Commissioner who has been appointed by the 28 – or soon 27 – Member States is not the appropriate person to chair the subgroup of 19 euro-area finance ministers. This Commissioner would not have the right incentives. The Commission suggests that the EMF ought to become the “backstop“ to the Single Resolution Fund and that “any funds used would be recovered from the banking sectors in the Member States participating in the Banking Union“. The Single Resolution Fund is limited to about 55 billion euros but the EMF, like the ESM now, would have 500 billion euros at its disposal. According to the Roadmap, the SRB would be entitled to borrow 60 billion euros from the EMF but the Board of Governors of the EMF could “flexibly“ increase that amount as they think fit. Thus, drawing on the EMF and recovering the drawings from the banks could dramatically expand risk sharing among euro-area banks. We do not believe that more mandatory risk sharing among banks in the euro area is necessary or desirable. It is bound to encourage risk-taking and negligence as associated costs could be passed on to third parties – the SRF, the EMF and other banks. If the banks wanted more risk sharing, they could organize it privately on a voluntary basis – with insurance contributions related to the risks affecting the insured. Among the countries of the euro area, the share of non-performing loans in total loans varies between 46.6 per cent in Greece and 1.4 per cent in Luxembourg. But the share of non-performing loans is not among the eleven indicators used to define SRF contributions, and the weakest bank does not even pay double the risk premium of the strongest bank. If contributions fail to account for risk by such a large margin, the scheme is a risk transfer mechanism rather than an insurance. Where the risk can be transferred to other parties, aggregate risk will rise rather than fall. We recommend that contributions to the Single Resolution Fund should be reviewed and redefined so as to reflect the specific riskiness of the covered institutions. Contributions to EDIS will probably be calculated in the same way as those to SRF and, hence, would be subject to the same criticism. In these circumstances, the national deposit insurance institutions are likely to be fairer and more efficient than EDIS because banks within the same Member State face more similar risks depending on the bonds issued and policies adopted by their national government. As the insurance market demonstrates a large insurance is not necessarily more efficient than a small insurance. 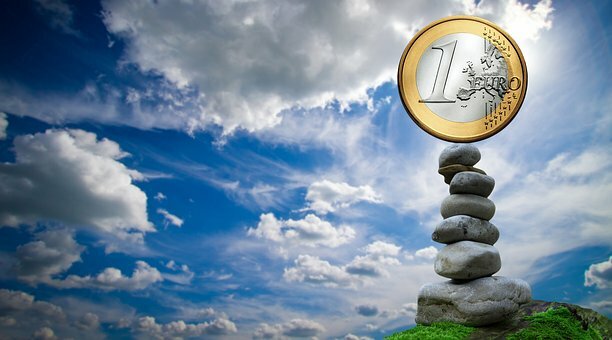 Since EDIS is to be introduced in stages over several years national supervisory authorities have an incentive to delay the resolution of insolvent banks until deposits are fully insured by the European deposit insurance. This would impair the efficiency of credit allocation and growth. In the Roadmap, the Commission proposes a programme “to support reform commitment packages agreed with Member States“. Under this programme transfers would be paid to governments which are considering far-reaching structural reforms because they have failed to undertake adequate reforms in the past. By rewarding past inaction and failure, the programme would not strengthen but weaken the incentive to reform in the longer run. As the European facility would compete for customers with the International Monetary Fund a lowering of standards and of compliance is to be expected. Moreover, the Europeans would be less impartial than the IMF in judging the creditworthiness of their fellow Europeans. The Commission proposes “a convergence facility for Member States on their way to joining the euro“. The facility would make it easier to satisfy the convergence criteria for admission to the monetary union. The convergence criteria serve as a simple and, hopefully, adequate test of a country’s ability to prosper without resorting to exchange rate adjustment. We do not see why passing this test ought to be made easier. On the contrary, Art 140 Sect 1 TFEU requires that the convergence must not be due to temporary measures but “sustainable“. Transfers from the convergence facility would be temporary measures. They would be contrary to the Treaty. In the past, admission to the monetary union has been too easy. The convergence criteria are not too strict but not strict enough. We therefore recommend that each participating state should have the right to leave the monetary union without leaving the European Union altogether. The evolving euro area needs an orderly exit procedure.